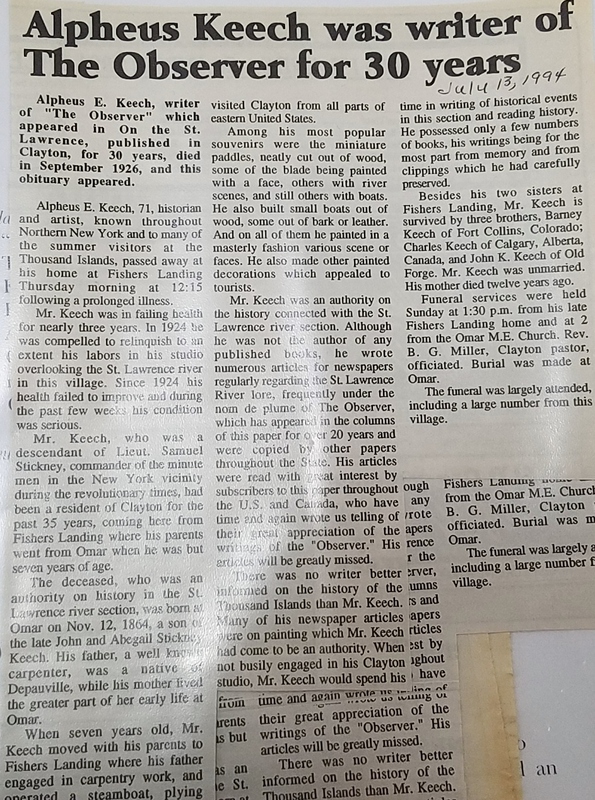 Keech was a self-taught artist who made a living with his brush. 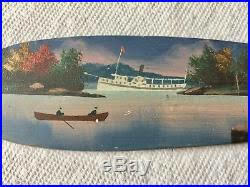 His largest work was probably the magnificent eagle that adorned the paddlewheel cover of the grand steamboat St. Lawrence. 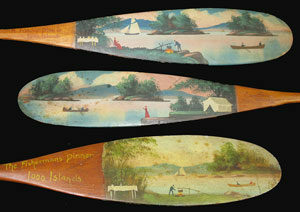 From the 1890s through the 1920s he painted signs, false graining on wood, Thousand Island scenes, and hundreds of little paddles like these. 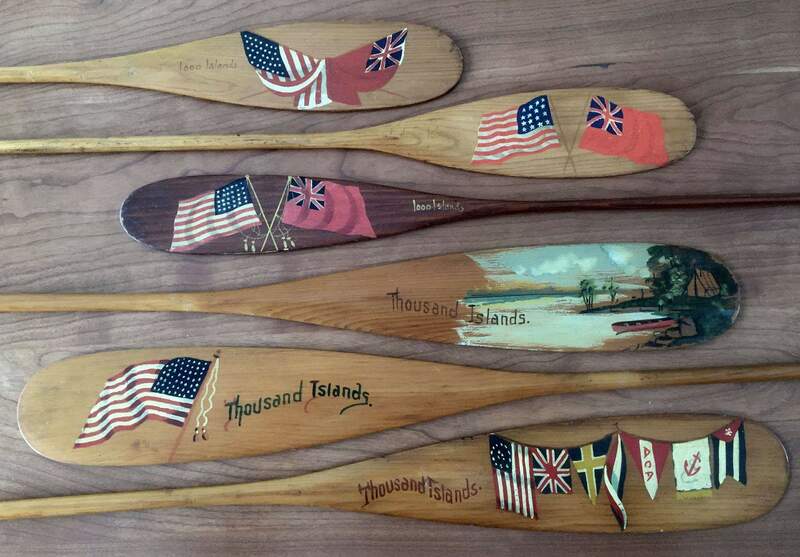 Keech had a number of themes for his paddles which he used over and over again. 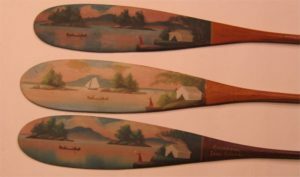 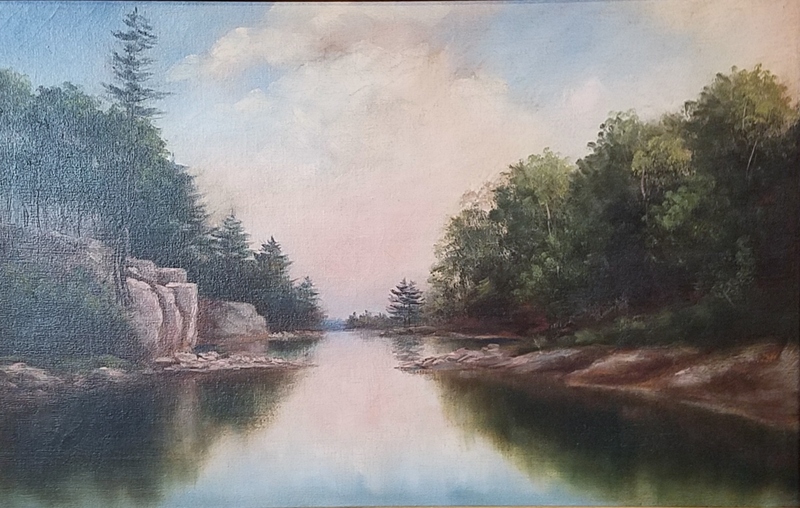 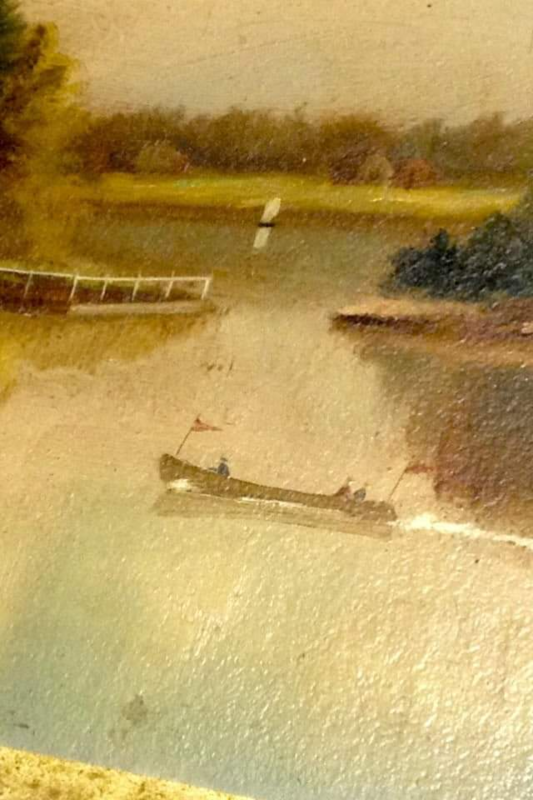 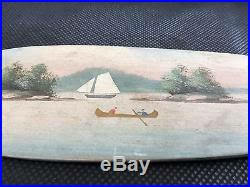 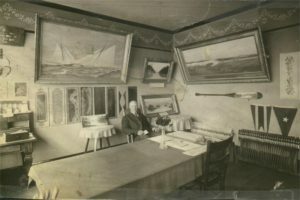 But each paddle in the series, whether it was “Thousand Islands Sunset,” “Camping, 1000 Islands,” a little red motorboat, or one of his general views, was painted individually by Keech. 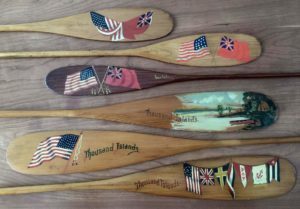 Keech carved each of the paddles by hand, as well, which kept him occupied though the long winters before the tourists arrived to buy them. 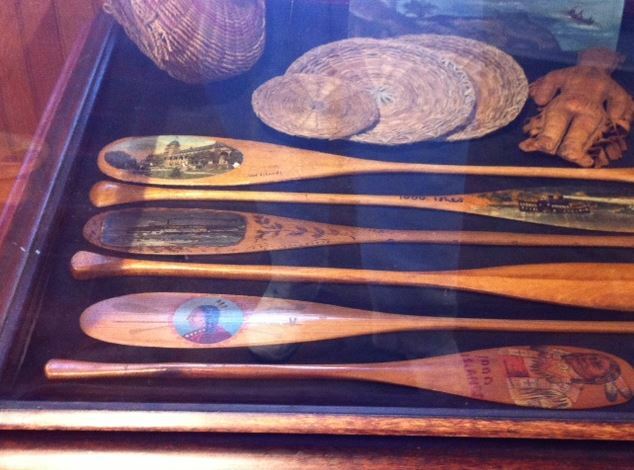 You can imagine him enjoying the work with the little variations he put into each paddle. 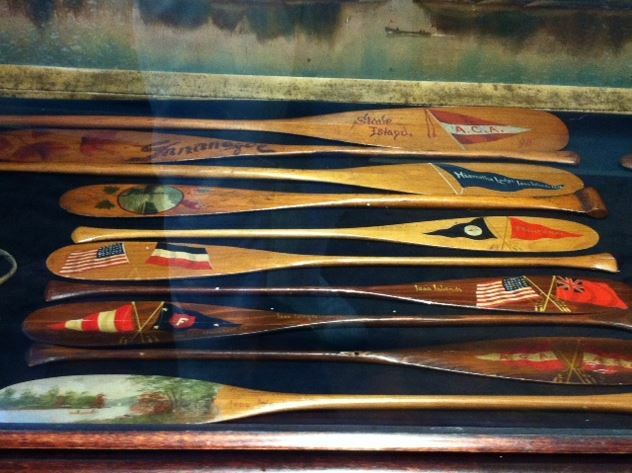 Keech sold the paddles in his shop in Clayton, and he also had a concession on one of the steamboat lines which no doubt sold plenty to people wanting to remember their week in the cool breezes and sparkling waters of the Thousand Islands. 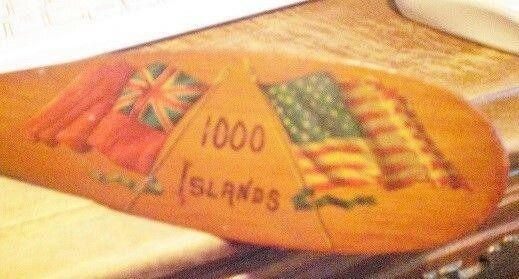 What does camping in the Thousand Islands mean to you? 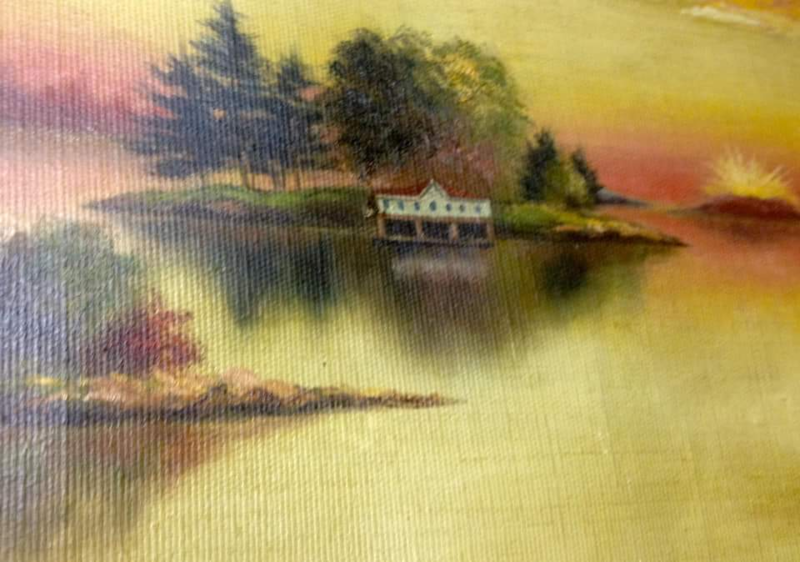 Is it a shingled cottage perched on a rock, or a tent on Mary Island? Your tent may not be made of white canvas, but you can share the sensations evoked by the scenes painted on these souvenir paddles a century ago by Alpheus Keech of Clayton. 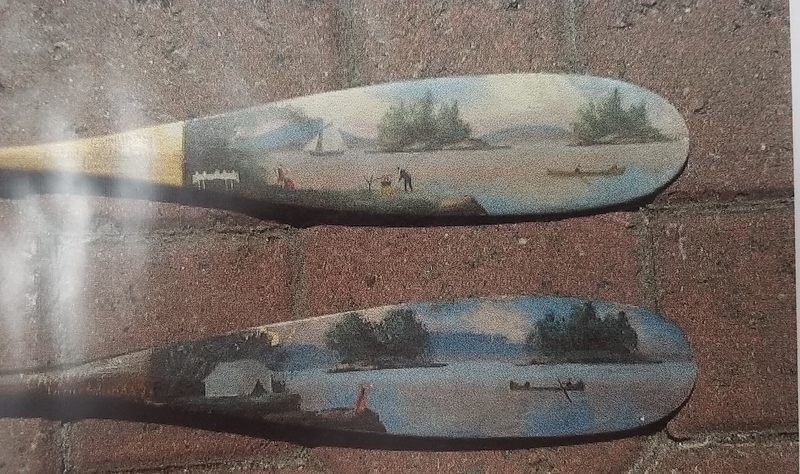 During the long winters while Alpheus Keech was carving and painting his little paddles, dozens of other river folk were carving and painting, too. 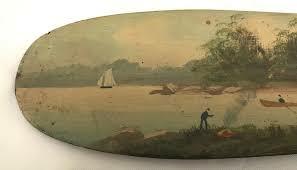 The decoy makers had a more utilitarian purpose in mind than Keech but the same artistic enjoyment of the work. 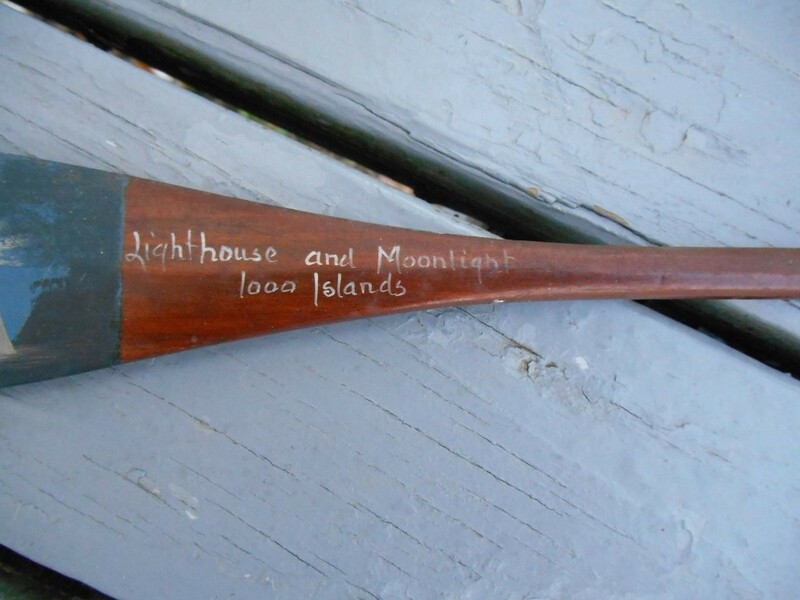 The names of most are lost now. Many didn’t sign their work, and probably wouldn’t have considered themselves artists anyway—they were just carving and painting birds for their own duck-hunting rigs.